Last week a full Irish Team traveled to Northern Ireland to compete at the Home Internationals. The home internationals is a Team event between Ireland, Northern Ireland, England, Scotland, Wales and Jersey. The Home Internationals was run at East Strand in Portrush run by CANI and the Ulster Paddlesurf Club. On the day of competition waves were small making for challenging conditions. Weather was sunny with a cool offshore wind. At the competition this year there were five teams taking part. Ireland, Northern Ireland, England, Scotland and Wales. It was great to see all the Irish Team putting everything they had into heats. There was great team spirit on the day everyone helping each other out, carrying boats down the beach and offering great encouragement. Everyone worked hard all day in their heats. We ended up Second in the competition.Results were as follows. We will take all we learned in competing at the Home Internationals and use it for our preparation for the upcoming Worlds Championships in 2017. Surf kayaking in Ireland is in an extremely healthy place. To make the Irish Team there is huge competition for every place in every category. BIG THANKS to all the Northern Ireland Crew for putting on a great event, Massive thanks to Darragh for getting the hoodys sorted and to Alan O Brien for getting the houses sorted. Thanks to Mike Barry and Darragh Walsh for managing. Lastly thanks to everyone for all the support. This years Irish Open was a great success. The Open was held at Easkey Left, a very famous Irish Surf spot with very nice fast waves. We ran 39 heats on the day. There was some top class surfing, great waves and great fun. For the event, we used the new website, www.tournr.com to do registration, payment and results. This made it really easy for us. Thank you to Chris Skardon at Tournr. Ride Surf Kayak also sent a token for all of our juniors. Thank you Ride for supporting Juniors Surf Kayaking in Ireland. Paddlesurf Ireland members, Aisling Griffin, Mike Barry and Darragh Walsh all traveled to this years Ride Surfkayaks British Open. The competition was held at Freshwater West in Wales. The competition was friendly, had a great atmosphere and there was excellent surfing from all competitors, making a very close competition on the day. Aisling Griffin took first place in both HP and IC ladies. Darragh Walsh made it to Quarter Finals in HP, an excellent result for Darragh who ‘s surfing is always improving. It was a great event, many thanks to Tim and Kelly Thomas, and Ride Surf Kayaks for running the day, and to Chris Skardon at Tournr for providing a great entry system. Dates: November 21st & 22nd. Requirements: Hold a level 3 instructorship in another discipline as well as a minimum of either 5 ranking surf competitions or 5 days coaching paddlesurf in the last 2 years. This assimilation involves an assessment of candidates personal skill level – this must be at least equivalent to the level 4 paddlesurf skills award – as well as sessions on coaching and rescue in the surf environment. Candidates should also be familiar with the Level 3 Paddlesurf Instructor syllabus. Please note that this is a surf specific coaching and leadership award and as such must be completed in a surf specific craft (surf kayak or waveski). All bookings must be accompanied by an application form. Please include a summary of your Paddlesurf experience to date with your application. We have some fantastic prizes up for grabs at this years club championships with thanks to our incredible sponsors I-Canoe, Great Outdoors, Cotswold Outdoor, Dagger, Palm, Peak UK and Pyranha. It’s not too late to register your club or as an individual to take part in this great weekend. Registration is open until 9am on Wednesday 18th March. Registration and event details can be found here. I-Canoe and Peak UK are generously supporting the event by sponsoring a full set of five custom Club Championships Polo Buoyancy Aids for the top performing Polo Team. I-Canoe and Peak UK will be sponsoring two custom Club Championship Cag Decks for the top performing Slalom Team. 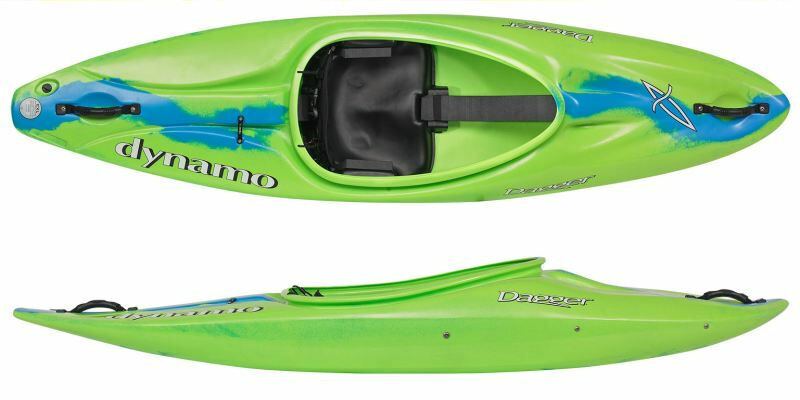 Palm and Dagger have come together to generously sponsor 12 sets of club spec paddles, buoyancy aids and cags as well as a junior kayak to be distributed between the top performing clubs at this years club championships. Cotswold Outdoor will be sponsoring €400 in vouchers for their new irish website www.cotswoldoutdoor.com/ie. These vouchers will be distributed between the top overall performing athletes in Mens and Womens Under 16’s, Under 18’s, Seniors and Masters. We are waiting to hear from Great Outdoors and Pyranha on the final set of prizes but you can be sure you won’t be disappointed. We will also have a range of spot prizes and goodies over the course of the weekend.